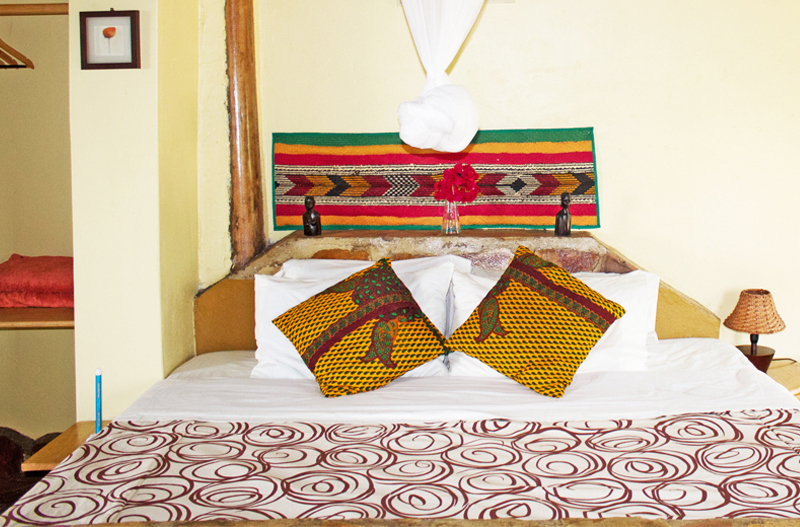 The Paw Paw Cottage was lovingly build and designed to be cool, sweet and refreshing. The cottage hosts art work by Donna Banya, painted specially for Nyore Hillside Retreat. Our high thatched cottages offer comfort, luxury and culture. Each decorative craft, fixture and fabric was hand selected and curated to bring Africa’s green and fertile landscape into one room.